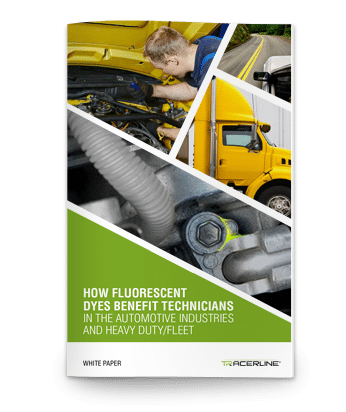 The new Tracerline® TP-8692 UV Multi-Colored Fluid Dye Kit provides a mechanic with a complete set of dyes that fluoresce brightly when exposed to ultraviolet light. The kit includes three color-coded dyes for petroleum and synthetic-based fluids: white dye, yellow dye, and blue dye (red dye is available separately). The kit also includes a specially designed green fluorescent dye for conventional coolant. 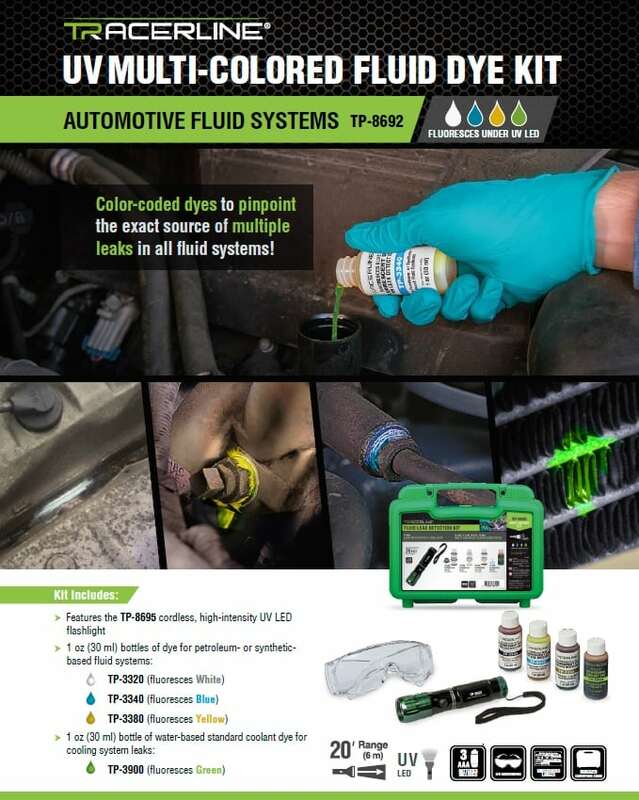 By offering a kit with color-coded dyes, a technician can quickly isolate and identify multiple leaks in all vehicle systems. To use the kit’s contents, add the appropriate dye to the system(s) being serviced. Run the system for ten minutes to let the dye circulate. 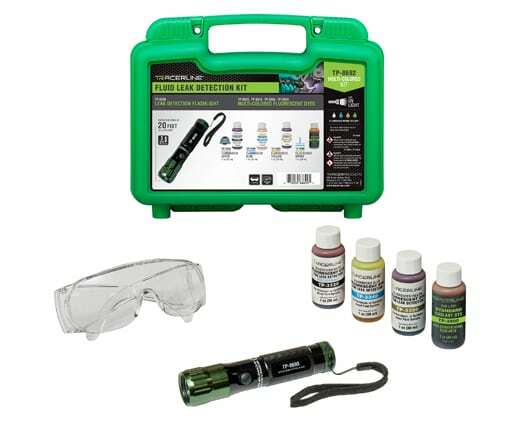 Inspect the system with the TP-8695, the powerful ultraviolet LED leak detection flashlight included in the kit. 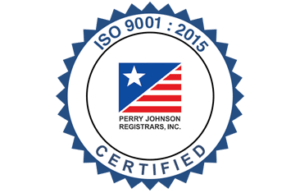 The TP-8695 has a range of 20 feet and can easily detect leak areas in a vehicle’s system. Leak areas with escaping dye will fluoresce brightly when exposed to ultraviolet light.